I was sent a Bralief for review. I was not compensated in any other way. Bralief helps to provide an Instant Breast lift! 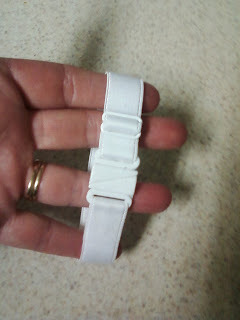 It also helps to keep straps from slipping down. Its very simple, easy and small. Since there is no way in heck Im showing before and afters of myself, here are a few from their site! I do like the idea and it does give you a lift. But being a larger woman, when I was using it, it didnt slide down that easly. They come in packages of 3 in the price range of $14.95 to $19.95. You can order them, and see more HERE on their website.